In January 2015, I spent two eye-opening weeks speaking at the American School of Bombay, my first time in India. I was fortunate to be invited back to teach creative writing during summer break (what they call intersession), bringing my total number of 2015 weeks in India to five. Speaking of three monosyllabic words, the school divides their intersession offerings into three buckets: Body, Mind, and Soul. I was curious—and not in disagreement—to see that they put my program (“Thrills, Chills, and Spills: The Adventure of Creative Writing”) under Soul. Last time, I was only in Mumbai (including a boat trip to Elephanta Island), a city so historic and vast that it felt like I’d explored a lot more area than I physically did. This time, I was exposed to three additional aspects of India: monsoon season, Delhi, and the Taj Mahal. 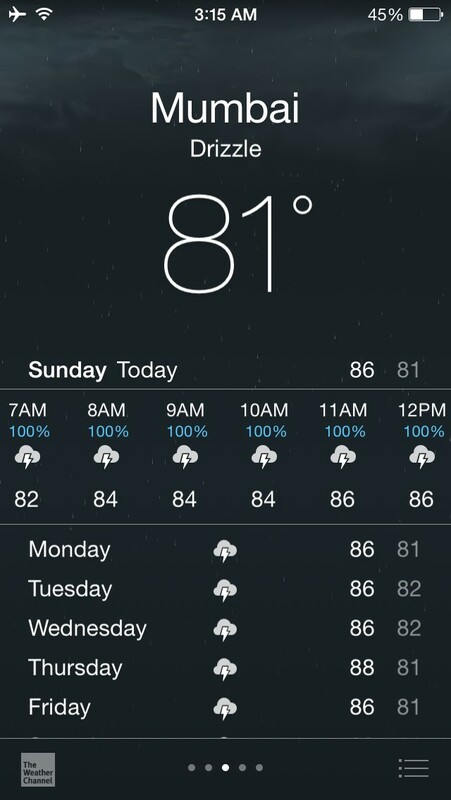 I arrived in Mumbai on 6/13/15, during a brief spell of not rain. But then for almost the next two weeks, the rain was daily, often all day, and often heavy. 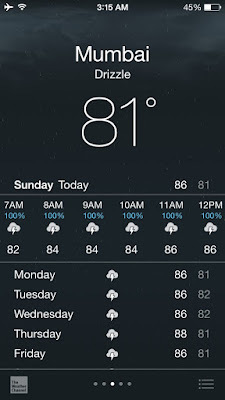 On June 19, all school activities were canceled due to the monsoon. For some reason, I saw that as a good opportunity to venture out on foot. I walked 15 minutes and back (with umbrella), returning looking like I’d swum laps in my clothes. It turned out to be Mumbai’s wettest June day since 2005. As before, I found Mumbai to be a nonstop barrage of stimuli, some lovely but the majority a difficult reminder of the struggle so many go through daily just to get clean water, food, and shelter. To help people get out of the slums and off the streets, the Indian government erects residential buildings. Through a lottery, families are selected to move into a new apartment, free of charge. However, some don’t move in; instead they sell it or rent it out. Money trumps comfort. a category I did not know existed). is inscribed with a language whose meaning has been lost. In India, squirrels look like chipmunks. The most moving stop in Delhi (if not all of India) was Gandhi Smriti, the site of Gandhi’s 1948 assassination. It was all the more emotional because in a city of 11 million, I was practically alone there. where Gandhi was fatally shot. the serene beauty of the place envelops you. Gandhi himself took a different route, hauntingly marked as shown. From Delhi, I set out by car to Agra, the city home to the jewel of India and a Wonder of the World, the Taj Mahal. The tour company who packaged the weekend for me (highly recommended: Elephanta Tours) said the drive would take 4.5 hours. Both there and back, we did it closer to three. My driver was another jewel of India—a very kind man. He witnessed firsthand one of the 2008 bombings in Mumbai; the people in his building were forced to stay there for four days. To beat the crowds (and the 100-degree heat), I left at 5 a.m. to see the Taj, which was less than five minutes from my hotel. When the Taj first comes into view, it is ghostly. It was sparsely attended for the first 30 or so minutes, then the traffic picked up, but it’s off-season so it was never packed. It felt like I stayed there most of the day so when I left I was shocked to see that it was only 7:15 a.m. The Taj sits on the Yamuna River, and a story goes that on the opposite side, a Black Taj was to be built. It seems this is most likely a myth—but if there is a way to make the Taj Mahal even more intriguing, that is it. My guide said the Taj was built to withstand an earthquake and could weather one as strong as 8.5; the minarets tilt slightly out so if they were to topple, they would not hit the Taj itself. The administrators of the Taj allow film production on the grounds, but not with sound effects—nothing to risk damaging the structure. My guide directed me to do this pose. including Bill Clinton, Oprah Winfrey, Julia Roberts, and Katy Perry. like I was the only person there. in one of the typical ways, with arms forming a tent over the dome. No food and only water bottles are allowed in. View of the main gate from the Taj. among other more obvious infractions. the other added later for the emperor himself. love a) in India and b) back then. You can be picked up right in front. No vast parking lot. Weirdly, the Taj reminded me of the monster in the movie Cloverfield—a large thing in the distance you feel you can never get close to (though in the Taj’s case, you want to). After I went through the Taj once, I returned to the entrance gate, turned around, and repeated the walk to shoot a time-lapse film of the experience. Time it took me from the main gate of the Taj Mahal grounds to the Taj itself, where you cannot enter directly (traffic is directed all the way around the back, ending up on its front step, from which you can turn around and see the main gate): about 7 minutes. As you can see, the Taj is breathtaking from any angle. More than any other place I’ve been in recent memory, it makes me want to travel to the past. The total for this one-night trip to Delhi and Agra (all-inclusive except for the cab to/from the Mumbai airport, my lunches, and tips for my guides) was 31,536 rupees—less than $500. In closing, pickles. If traveling to India, don’t leave home with them.